Shane Clifford is global head of Corporate Strategy for EnTrustPermal. He was previously an executive vice president and member of Permal’s executive committee, where he was responsible for broadening and executing Permal’s global business development strategy. 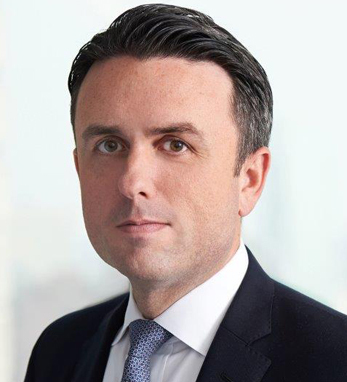 Prior to joining Permal in 2008, Shane was with BlackRock in London and the U.S. Mr. Clifford began his career with Merrill Lynch covering institutional markets in the Americas. He serves on the board of the Gregorian Foundation. Born in Limerick but based in the U.S. since 1998, Shane received his M.B.A. in international management from Boston University. He also holds a B.B.S. in business from the University of Limerick and says that his Limerick origins have endowed him with a personal and professional “drive to succeed.” Shane currently lives stateside in New Jersey with his wife, Tricia, and three children, Liam, Owen, and Sean.